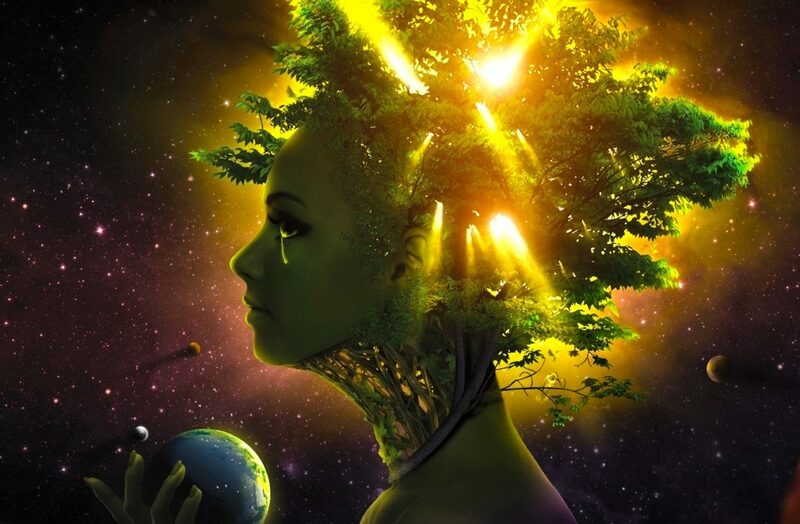 Green Magic was said to be the path of witchcraft which is connected to powers which come from trees, herbs, or everything else that is growing in the wildness. In recent times, green witchcraft became famous, because it promotes consciousness of nature and spiritual balance. Because of this, we will provide you with tips and charms which may uplift the energy in your home while you are vibrating higher together with nature’s magic. Apples are fruits which are associated with the Goddess of Beauty and Love, Aphrodite. So, they are considered the sacred fruit of the goddess. In order to make sure that you will have a meaningful and fruitful relationship, cut one apple in two parts. After that, give your loved one to eat one half of that apple, and you eat the other half. Also, remember to keep the apple seeds in order to bury them later, in some fertile soil and see the result. 2. The almonds are going to point to the right path. These tasty nuts are associated with awakening power and fire. When you look for something that you are not able to find, or you simply want to get enlightened, you should carry several almonds in the pockets. Putting a branch of pine above the bad will probably be one of the most potent passive charms utilized against negativity and ill. The pine is related with immortality and fire. It averts negative powers and energies with fire’s power. 4. Sugar will attract power. When you really want to attract or invite certain thing in life, you can ‘burn’ sugar over charcoal, simultaneously thinking of what you would like to draw. Moreover, make a clear visualization and be careful with the fire security measures. 5. The heavenly blessings of basil. The diverse blessing of this herb may aid you in different, subtle and clear ways in life. Only having 2 or 3, or even more pots of this herb around doors and windows may be enough. The basil is known for attracting the sun’s power, enhancing prosperity, love, and blessings. 6. Lilacs help against undesired and uninvited spirits. The lilacs will help you to banish angry spirits and ghosts in your home. You can simply place lilac flowers around different rooms in your house. Also, when they are going to lose the virility, you should replace them with new ones. This probably seems funny, but there are a lot of witches who know that it works. You can rub a leaf of the lettuce on the forehead, particularly your third eye, in order to initiate sleep. 8. The weather magic of cotton. Because the cotton looks just like a cloud, burning them is going to help in attracting rains and clouds. This is probably the oldest form of sympathetic powers and magic. In fact, this is an ingredient which will speed up your wishes. Witches utilized it to also bring prosperity and healing, while others utilize it for attracting love. You should simply burn allspice on charcoal and think of the wish you have on mind. 10. Oranges are attracting the energy of the Sun. Sometimes, it is unbelievable what little things are able to do. The orange peel belongs to the group of most potent charms for green magic. Witches often put them on doors or windows, in order to invite all those energies of the Sun at their homes. This may also bring prosperity, happiness, and healing to your family and home.